The instrument is an accurate modern copy, except for plastic jacks and quills necessitated by climatic factors, of a harpsichord by the last of the great French makers. The peau de buffle represents Taskin’s attempt to apply to the harpsichord a tone colour approximating to that of the emerging French fortepiano, of which Taskin himself made several. While especially appropriate for French music, its two manuals and diversity of tone colour make it an eclectic instrument, on which it is possible (though not necessarily desirable!) 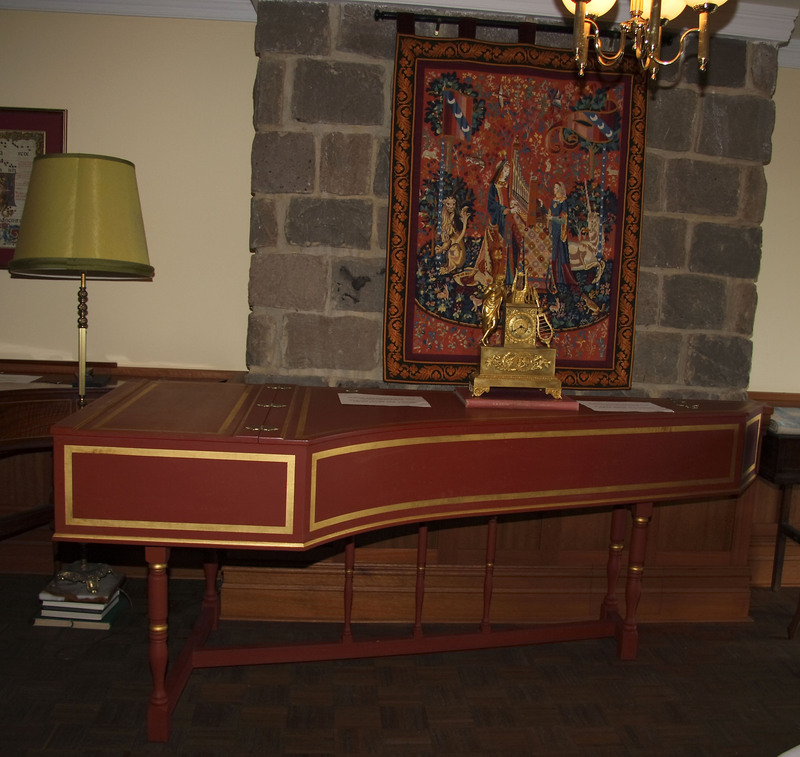 to play the whole harpsichord repertoire from the 16th century virginalists, through Bach’s works, to Bach’s sons and other composers of Taskin’s own time, many of whom, including most of those featured in today’s programme, wrote with harpsichord and fortepiano equally in mind.